Periodic Electrical Testing Ltd provide Landlord/Commercial electrical and gas safety certificates in London and surrounding areas... Our fixed prices for electrical and gas certificates for landlords and new homeowners make us an easy option to have boths services carried out in one go. 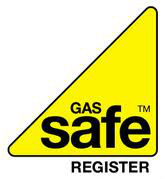 Please give us a call for more information on Electrical & Gas certificates.. So What Is An Electrical Certificate? An Electrical Certificate is an in depth survey of all electrical circuits, plugs and the fuse board. Specialist test equipment is used and the survey normally takes around half a day. Some surveys will be easier than others depending on if any faults or issues are found. Also, the number of electrical circuits you have will also determine the time taken. *Remember* To check that the Electrical company/engineer is approved NICEIC registered and that they use Red 8 page written NICEIC certificates, and not Green certificates which anyone can buy from an electrical wholesaler and use for your inspection. The green certificates inditcate that they are not registered and could make your insurance void!! and could potentially leave your installation in a dangerous condition. Like all things, electric equipment, circuits and cabling deteriorate with time and use. This is why it is so important to have everything checked to ensure you and your family are not put at risk. So What Exactly is involved in the inspection? The electrical installation will be checked and each area will be given a specific code of safety. It is basically a formal way of recordings the findings of the inspection. The periodic inspection report should always be carried out by a registered electrician. The coding system uses numbers from 1 to 4 to rate the installations safety. The section tested will be given a code in order to rate its safety and record any actions that need to be taken. The above codes will be used on all parts of the installation and you will have a full indepth PIR to look at. The testing will reveal if any circuits or parts of the installation are overloaded, identify if any parts of the installation are at risk of electrical shock and/or fire risk hazard. The report will also pick up on whether there is any defective DIY work which will need attention or if there is any lack of earth bonding. Further testing will be carried out on wiring and on fixed point appliances such as appliances that are built in into your kitchen. Plug sockets are also tested so that you have a very thoroughly completed test report. We are an NICEIC approved contractor with the relevant electrical qualifications & competance.